PQube Games has announced the European release date for Under Night In-Birth Exe:Late[st]. The game will launch digitally & physically for the Playstation 4, with a digital release set for the PlayStation 3 and PSVita, on February 9th 2018. 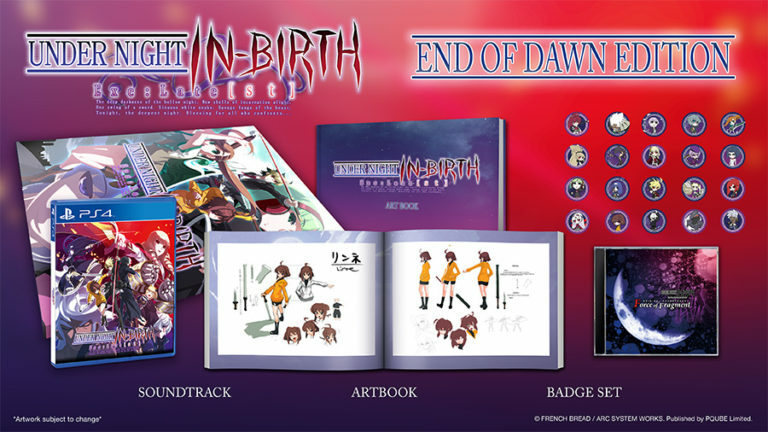 An exclusive End of Dawn collector’s edition for £54.99 will be available via Rice Digital which includes the PlayStation 4 version of the game, a 128 page art book, official soundtrack CD, set of badges and a special collectors presentation box.